Inspired by classic clay pots, the Milano planter is constructed of a durable polypropylene material. 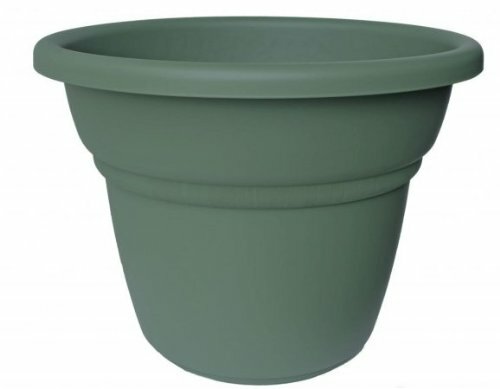 A fine matte finish is embellished with a hand-awed ring wrapped around the upper third of the planter. Pre-drilled holes allow for drainage. Matching Dura Cotta saucers sold separately. Product Weight: 15.94 Lbs.